CITY OF SAN FERNANDO -- Out of the 22 candidates vying for the Mutya Ning Kapampangan crown, Angeles City's Angela Maria Robson won the title. She also got the Miss Photogenic and the most elegant gown of the night. The coronation night was held at Bren Z. Guiao Convention Center (BZGCC) Monday, December 10, where Governor Lilia “Nanay” Pineda lauded the Kapampangan beauties, saying they all deserved to bring home the crown. For her, it is already a privilege to stand in front of the crowd to represent their respective cities and municipalities. Robson will also be representing the province in the Miss Millennial in Eat Bulaga, the country's top noontime show. Meanwhile, Miss Lubao, Reziah Angelica Famorcan, bagged the Miss Angel Skin and first runner-up followed by Kim Leana Pabustan of Mabalacat City (second runner up) who was also hailed as best in swimwear and Miss Montage Choice Award; Mickey Charles Dimacali of San Luis (third runner-up), also the Best in Pre-Colonial costume and Queen of Estancia 2018; and Angelica Bianca Lapuz of Mexico (fourth runner-up), got the Miss Ysa and Body Experts, Best in Talent and Miss Texter's Choice. Other special awards were best in casual wear, Miss Nuan Model of the Year, Miss Aguman Kapampangan UK, and Miss SM Choice Award for Jaimee Nicole Manio, Mutya Ning San Fernando. 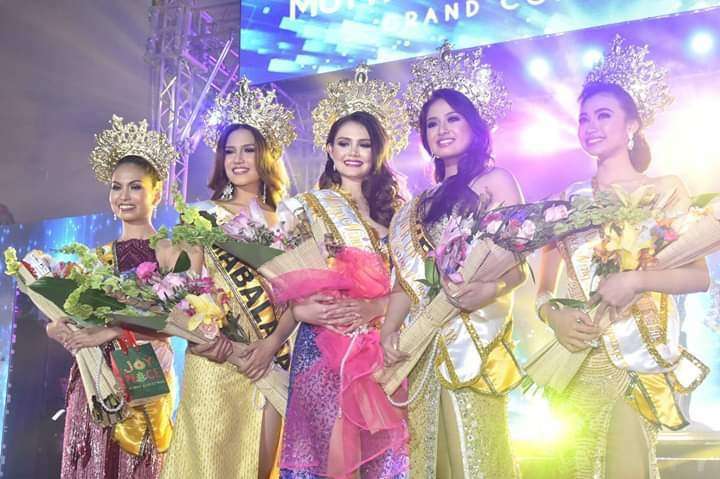 Kervee Mae Cabuso of Guagua was awarded as Miss Congeniality; Jessa Paran of Bacolor as Miss Telegenic and Miss Yuki Skin Care Pampanga; Micah Songco of Floridablanca as Miss Dream Aesthetica; Kristine Heide Manarang of Sto. Tomas as Miss Ysa and Body Experts; Irah Bonifacio of Porac as Miss Ellie Beau PH and Jessel France Navarro as Darling of the Press and Miss Yuki Angeles. The coronation night was attended by Vice-Governor Dennis “Delta” Pineda, Provincial Board members, local chief executives headed by Lubao Mayor Mylyn Pineda-Cayabyab, department heads led by Provincial Administrator Andres Pangilinan, Jr. and popular artists such as Ruby Rodriguez and Kenneth of Eat Bulaga; host-comedian Vice Ganda of ABS-CBN noontime show, It’s Showtime; and basketball players Calvin Abueva and Arwind Santos of the Philippine Basketball Association.